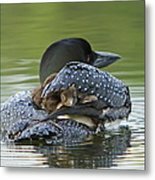 That is precious: a Mother Loon, cautiously looking back at her baby ducklings as she cuddles them under her wing for safety. 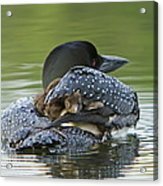 I saw the next picture of this Mother Loon you posted John, and the loving look in her eyes is why I would choose to paint a picture of that Loon with your permission. Thanks Debbie ! Sure, paint away, and thanks for asking ! Thank you very much Beverly! Thanks Charles, I really appreciate it !! Well done on your sale! 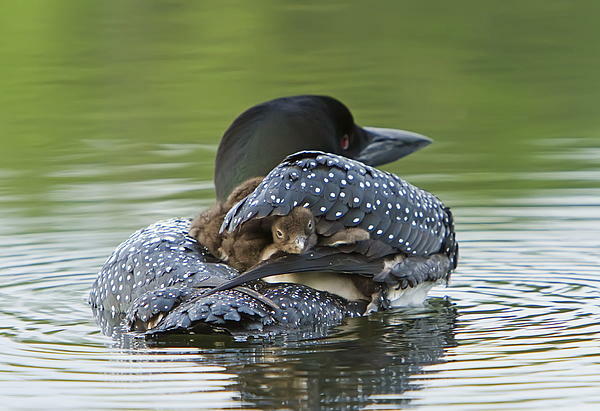 Sweet capture! 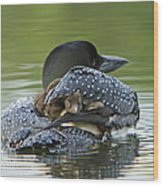 Congratulations on your sale! 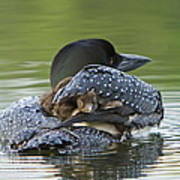 A loon chick pokes his head out from underneath a parents wing as if playing peek a boo with the photographer. Photographed in Grafton NH.